IBC (International Broadcast Conference) will play host to the biggest-ever 3D projection, this Sunday. In what is set to be the biggest IBC ever, the conference will kick off this Saturday with a live transatlantic transmission between Jeffrey Katzenberg, CEO of DreamWorks Animation SKG, and Christie, a leading provider of visual solutions. The interview is being conducted in 3D to showcase Christie's new projector, the CP2000-XB which uses RealD technology. 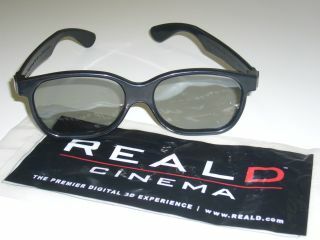 Speaking about the three-dimensional link-up, Joshua Greer, President of RealD said: "RealD has been involved with live 3D broadcasting since its inception and we are excited to play a role in the first-ever live transatlantic digital 3D telecast. "Our participation with Christie underscores RealD's commitment to innovation and continued leadership in 3D technologies. By combining the digital and cinema expertise of both companies, we can now deliver 3D to even larger screens without compromising quality." In addition to the transmission, RealD will be taking part in the conference's digital cinema theme day on Monday 14 September.